How Much Would it Cost you to Have Poorly Designed POS? In business, a good design is worth its weight in gold. The reason for this is relatively simple, a good design attracts attention, leads to more sales, and increases profit. Bad designs are at best simply ignored and at worst openly mocked. Simply put a good design earns you money while a bad one may cost you money. There have been several examples of good and bad designs in business here is an example of each. Design can mean a lot of different things depending on the industry. Cars are a popular stand in for examples of design because they are easy to conceptualise. 2016: 491,681 One of Volkswagen's most popular cars in Europe and abroad it also won several awards from the industry press. 2006: 63,202 Leading to a loss of four billion Euros between 2003 and 2006. The overall Smart division never turned a profit which leads to the liquidation of the division and absorption by the parent company. When you think about design it covers a wide range of topics including visual advertisement, product design, and POS displays. POS displays are an especially tricky part of the overall marketing process. A good design in the context of a POS or POP display can mean different things. Because of such precise factors designing an effective display can be very challenging and requires expert assistance. 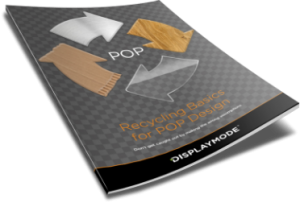 DisplayMode are industry experts whose experienced staff have helped design effective POS displays around the world. They know how to successfully meet the challenge in designing a display that is effective for the product itself, the brand or retailer selling it, and also how to effectively create a ‘good design’ for the local market no matter where in the world it may be. As noted above design is a trickier aspect of creating an effective POS or POP display. There’s more to an effective display design then how good it looks. A designed display can be visually pleasing but be completely impractical. As the above automotive examples show design should serve a purpose. Failures in POS displays can occur due to mishandling basic engineering concepts such as a display being too heavy, too fragile, or easily damaged. A good design works at all levels from the design phase all the way to the finished product. Aside from the creative elements a good design meets all the requirements of being practical, functional, and having gone through all the proper design steps such as prototyping. Working with industry experts gives you the insight you need for every step of the design process to create something not only visually pleasing but practical as well.